For some, going to the dentist can be a terrifying experience, but a new use of augmented reality could go a long way toward making the trip feel more like it's worth the orthodontic angst. 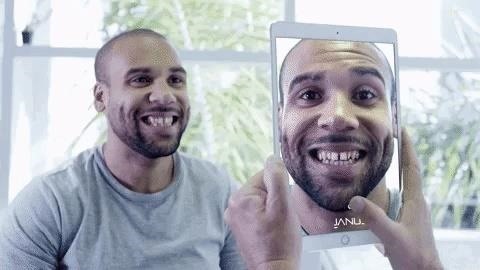 A new app called Janus Health AR uses the camera of a tablet to capture a patient's smile for analysis before potential dental modifications. Using machine learning technology, the app identifies the smile in the image and compares it to more than 150 common smiles to determine the best fit. The app can then adjust the size and shape of the teeth to match the 3D model to the patient's mouth. The result is a live rendering of the proposed dental modification that replaces patient's teeth and is occluded by their lips through the tablet's front-facing camera view. The simulation can also be recorded and shared with the patient. 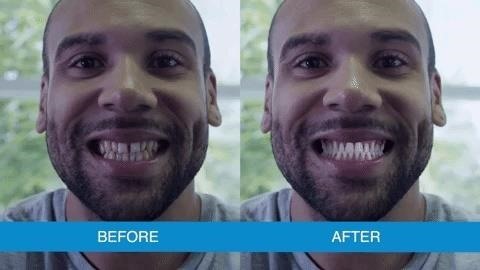 The demonstration video of the process is so seamless and effective, it wouldn't be a stretch to refer to it as "Snapchat for dentists." In addition to the sizes and shapes of teeth, Janus Health AR can also simulate the various shades of teeth, ranging from OM1 to 3M4 on the Vita 3D Master Shade Guide. Certainly, dentists and orthodontists looking to calm the fears of patients will welcome a tool that makes the experience less tortuous, but the addition of AR to the process also provides benefits such as more efficient evaluations, better laboratory processes, and improved quality of results. You won't find the app in the Apple App Store or via Google Play, as Janus sells the app licenses based on a variable fee schedule. But if you're a dentist looking to be more move into the next phase of dentistry-meets-computing, the company is currently accepting professional inquiries.